Layout & Measuring Center Finders. 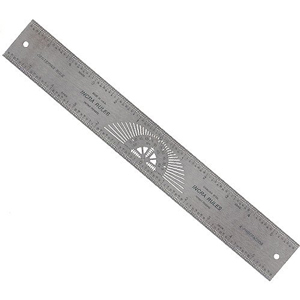 Find the center point quickly and accurately with this handy steel center finding ruler You simply align this center finding ruler so that the same measurement appears on both sides of the zero mark. 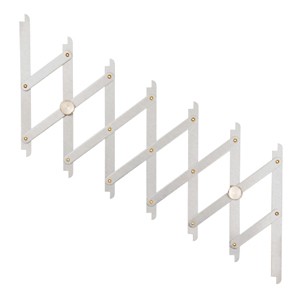 These rigid stainless steel rules make the job of finding the center of any piece of wood very easy. The zero is in the middle with scales in 1/32 “. These rules have a second scale which allows them to be used as regular rulers. 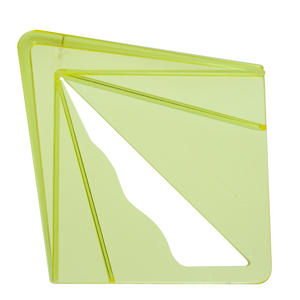 They are made of stainless steel with a hard chrome finish. The bottom of the center finding ruler reads 0” - 12” in 16th inch increments. 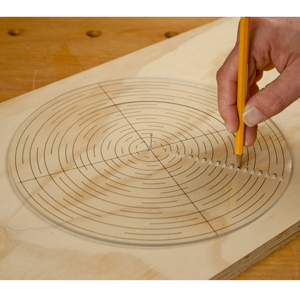 12" Centering Rule with protractor feature and precision marking holes at every 1/32"
Equidistant Measuring, Mark equally spaced Multiple points, for drilling, doweling, joinery pinning, and flat doweling. Simply expand the Point to Point mechanism, find the ideal spacing and lock the 7-point positions, then transfer to component. 2-point locking mechanism with 7 equidistant marking positions. Ideal for woodworking, arts & crafts, Sewing etc.